An update for anyone heading for the Sperrins this week - was up Mullagmore today. Roads were salted and clear through Draperstown and Moneyeany even though snowed all day. Must be at least 20cm of snow at low levels and higher up is in deep freeze with loads of drifting. 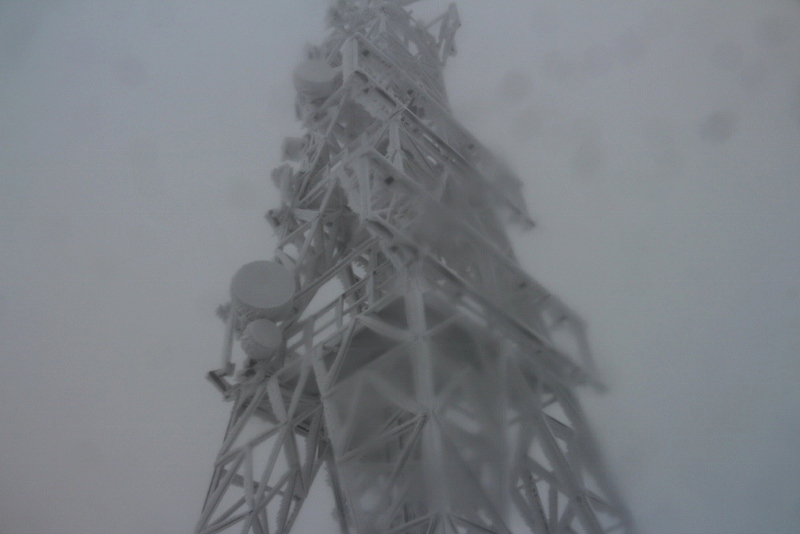 Some impresive icing and looked like power lines to comms mast were out and was running on generator. Not much viewing but if weather brightens up later in week would make for some spectacular walking for anyone able.